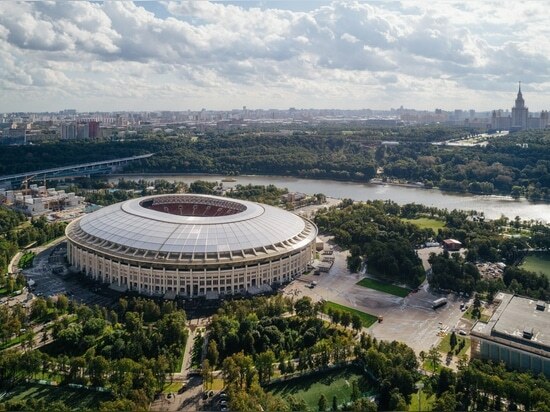 The opening game of the FIFA World Cup 2018 takes place today inside Russia's national stadium, which has been overhauled by Moscow studio Speech. 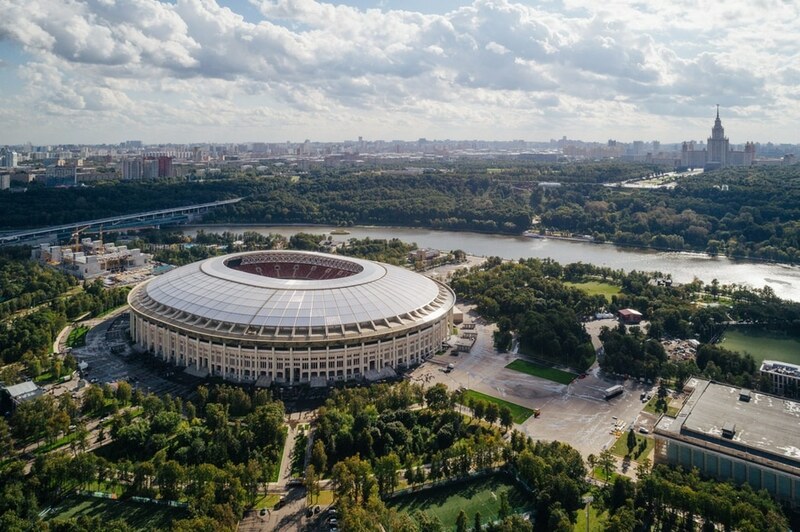 Built in 1956, Luzhniki Stadium in Moscow hosted key events during the Olympic Games in 1980 and is home to the Russian national football team. Speech has renovated the structure to meet FIFA standards, required for all World Cup venues. 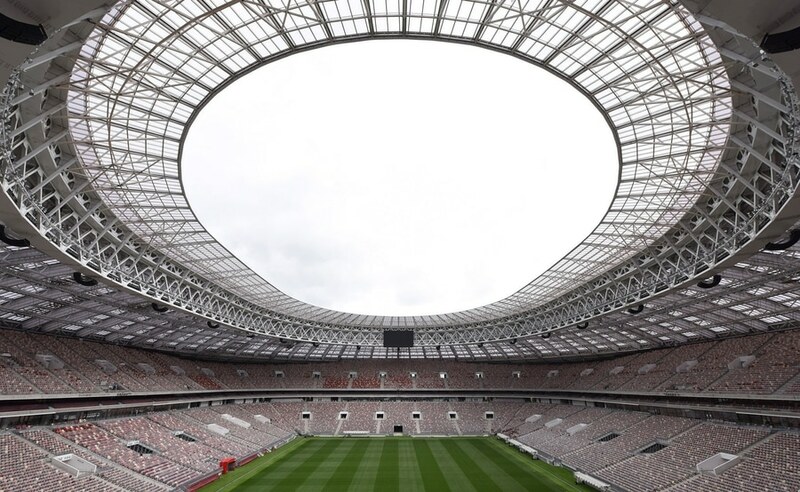 It will now host seven matches during the football tournament, including the opening match today, 14 June 2018, between Saudi Arabia and Russia.The project sees the historic stadium retain its distinctive walls and roof form, but its visitor facilities upgraded to fulfil FIFA's requirements. "This meant that the difficult task facing the planners and designers was to fit all the required functions into the existing geometry," said Speech. Internally, the stadium is reconfigured to increase the spectator capacity from 78,000 to 81,000. The athletics track that surrounded the playing surface is removed, and the previous single tier of seating is replaced with two tiers of seating ranked at a steeper angle. Between these two seating tiers are 100 VIP boxes, with capacity for 1,950 spectators.The renovation brings the stands closer to the paying surface, and improves sight-lines for spectators, as 10 per cent of seats in the previous configuration had limited views of the pitch.A new roof has been installed, but it matches the shape of the previous stadium. The colonnade that wraps the venue is retained and refurbished. Above this is a new artwork by Art Lebedev Studio – a broad metal strip that is perforated to create figures playing various sports. Behind the colonnade and historic wall, new concourses and staircases provide better access to the upper seating tiers and boxes. 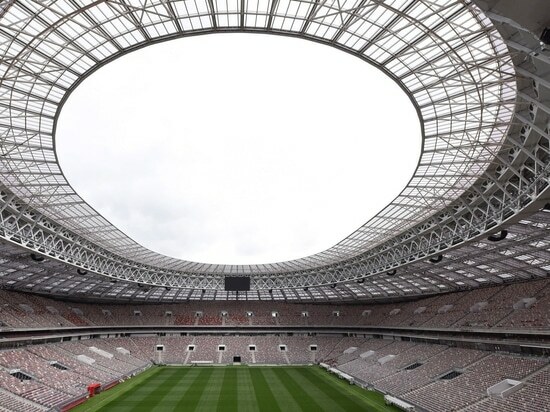 There is also a viewing platform at the top of the stands, 23 metres above the ground.Luzhniki Stadium is one of 12 stadiums that will be hosting games at the World Cup. Nike has designed kits for countries, including France, Brazil, England and Nigeria, while Adidas has creating kits that reference classic football shirts for teams including Germany and Spain.